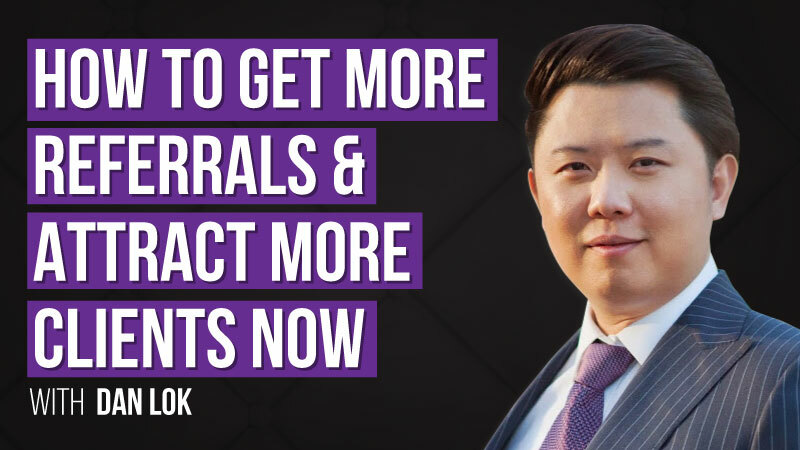 How To Get More Referrals And Attract More Clients Now! I don’t have to tell you how important referrals are to your business. If you’re a business owner or an independent professional, you know that referrals are the lifeblood of your business. If that’s the case, why aren’t you getting more referrals? Why don’t ALL your new clients come from referrals? You probably provide an excellent product and deliver the highest quality of service. No doubt you have a great reputation and your clients love you. If that’s really the case (and I believe it is), why aren’t you getting more referrals? If you fall into the first category, you’re not alone. You and most other business people and independent professionals get ill at the thought of asking for referrals. If you’re like me you simply HATE asking for referrals. Instead of relying on customers, clients, friends, or “centers of influence” to have to remember to talk about your business to their network of friends, I will show you how you get referrals without having to ask for them. What are some referral techniques that didn’t work, or didn’t work as well as you hoped? We are not going to be talking about any of these today! Referrals are damn important but we don’t pay enough attention to them. We need to be strategic and put systems in place. Most entrepreneurs don’t think about their problems deeply enough. Always ask why. Hope is not a strategy. What’s holding you back? #1 –FEAR you haven’t provided enough value yet. #2 –FEAR you’ll hurt the relationship. #3 –FEAR you’ll look unprofessional or needy. #4 –FEAR of not knowing how to get out of the conversation. FEAR is made up in the mind. You need to get over it. Just because they know you, does not mean they will refer clients to you. Naturally we don’t want to refer because it’s a risk we don’t want to make. In order to get referrals, you need to be “referable’. To be referable, you need to be reliable and able to deliver a great service or product. I call that your Refer-ability Factor. Can you really deliver what you said you’ll deliver? You need to be excellent at a bare minimum. Make sure to always keep your small promises. If you said you’re going to call at 5pm, call at 5pm. If you can’t follow through on something simple, how do you expect clients to believe in you enough to refer you. Your partners need to trust that not only can you provide great products and services but that you are consistent in living up to high business standards. How you show up at a networking event – prepared, on time and well presented, etc. McDonads sells a money making machine. If you ask to speak to the owner. He’s not there. The whole restaurant is run by teenagers. Everything is turned into a system. If you go to a McDonalds anywhere on the planet you’ll find they’re always consistent. Consistency is the key in business. In an uncertain world, certantly is what we are selling. People are willing to pay a priemum for certainty. 1. What are some areas where your service delivery is inconsistent or has room for improvement? 2. What service delivery standards do you currently or consistently uphold? You don’t get more referrals because you want it, demand it or desperately need it. You only get referrals when you deserve it. The two times are just after they have a positive experience with you and when a friend expresses a need for a solution that you represent. The key concept is to have your client remember you when someone she knows needs you, NOT when you decide you want a new client. What we must focus on is making sure that our clients understand our particular solutions we can deliver or experiences we can provide. If we can make that easy to recall, they will remember us when they hear someone describe a need for what we do. In the end, we don’t really want our clients to share with us the names of their friends. We want our clients to share OUR names with their friends at the RIGHT time. Any that doesn’t deliver that is not a good strategy. One of the fundamentals of referral marketing is being able to describe something unique that you can deliver to a specific kind of client. Referral Strategy #1: Move them up the loyalty ladder as fast as possible. How can you move them up as quickly as possible? Sign them us as a member. You want to be assertive and proactive in moving first-time buyer to customer to committed customer. The BEST way to have a committed customer(member) is to have them paid forward or on auto-charge, especially if there is pain of disconnect with the auto-charge. Giving referrals deepens the commitment of the client, which extends the life of that client and increases the spending activity of that client. The more the client refers the longer she stays so she can refer again thereby staying longer so she can refer again… and inside the circle, the more actively engaged she is, so the more she spends. 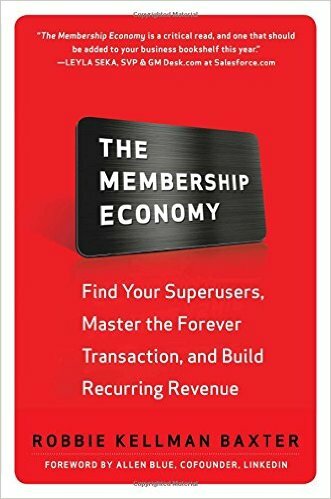 Membership – Don’t go but still pay. Your best member is your best client. They want to buy everything you have. 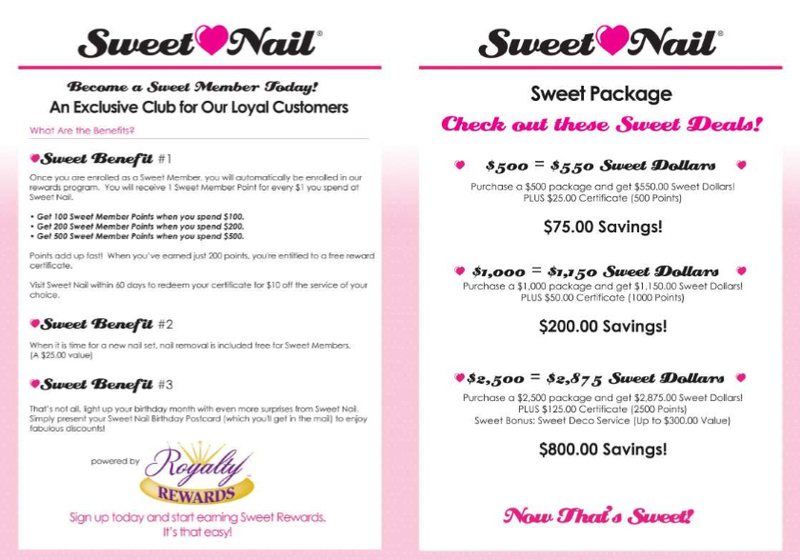 With Sweet Nail, there is a free membership. 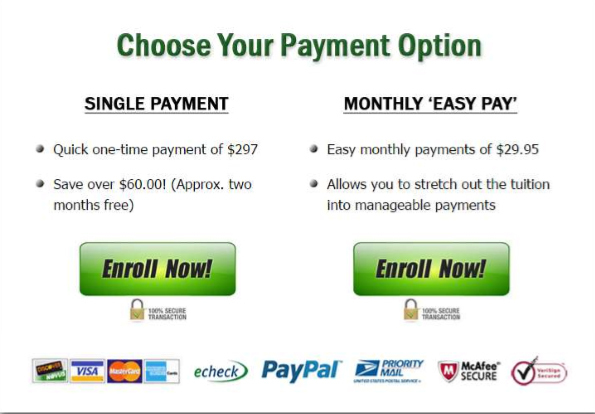 It’s difficult to get these customers to pay on a monthly basis so I found a way to get them to prepay. Other business people thought I was crazy. They said, “You can’t do that.” But I did anyway and it works. My first order was for the most expensive package, $2500. The most popular one is always the middle but there is a segment in your marketplace that will buy your most expensive offer. Make sure you have it there to offer it t them. Don’t do what everyone else does. Disrupt the industry. “What stories can they tell about you?” A lot of people find simple, straightforward referring awkward and uncomfortable, but everyone tells interesting stories they’ve discovered to others all the time. “Provide tools so it’s easy for them to direct others to you, with a simple way for those referred to learn more about you. After working with ________________. I got _________________ result. The higher ticket the items are the longer the testimonials should be. 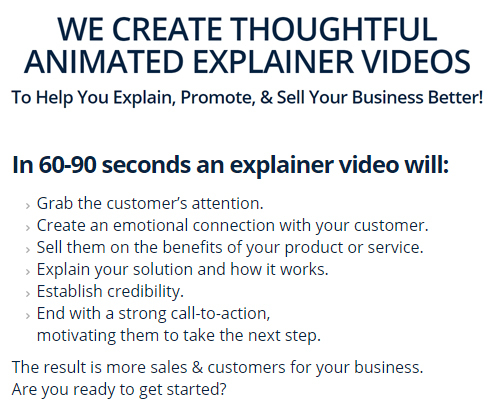 Your goal should be to get 100 video testimonials. People won’t watch them all but that’s not the point. Wouldn’t you want to work with someone that has 10o positive reviews. Referral Strategy #4: Send other people referrals! Do you deliver an experience people want to pass along? Although delivering a superior client experience is not enough to guarantee referrals, it’s a prerequisite. How much do you do to demonstrate that you are the best _____ to handle your clients particular problems? Typical referral scenario: “Do you know anybody who needs an architect?” the little Rolodex of relationships inside your client’s brain starts spinning and it keeps spinning because your client doesn’t know anybody who needs an architect at that moment. So you get the, “No one comes to mind, but I’ll keep my eyes open…” answer and you get NO REFERRALS. Reverse prospecting is different. You’ve already done your homework for them. You’ve figured out who they might know, who is similar enough to them that they might also need what you’re offering. Take it away to create urgency. You have to practice this. Tonality is important to get this right. Referral Strategy #7: Make giving you a few referrals a condition of doing business with you. You could use a Commitment Statement. This is a document that sets out what you, as a business, will do for your clients in return for their making certain commitments to you. You could make a video that outlines how you work with new clients and why they should give you referrals. You accept only clients who are referred to you by current clients. You advertise the fact that this special offer is only for people who have been referred to you. 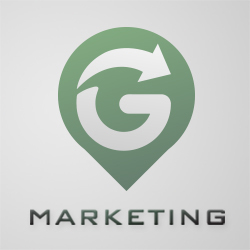 This gives you an air of exclusivity, which in itself makes certain people want to do business with you. Bonus Referral Strategy: Use events to create referral opportunities. FACT: Even if you get clients talking about your favorably to others, that’s not enough to get great results. The people they’re telling are distracted, time pressed, nodding as their friend talks but turned out, mind elsewhere, fingers texting. You MUST give your clients a reason to talk about you and actually bring their referrals directly to you. If you look at the patterns for starting human relationships outside of business, most begin with an introduction in a group setting. There’s less pressure on everyone, which allows for a real relationship to begin. That’s what we’re after… that’s where the profit lives. I believe that asking for referrals is a safe thing to do. Let’s Recap! What did you learn?